Staff and parents at Decker Elementary say Principal Alice Roybal-Benson has created a hostile work environment that has led to low morale and high turnover among the staff. But they’re concerned the district won’t take action. Staff and parents at Decker Elementary say Principal Alice Roybal-Benson has created a hostile work environment that offers little support to teachers and lots of criticism when they fall short of their goals. That, they say, has led to low morale and high turnover among the staff. The two-star school’s turnover rate has been high compared with nearby Dondero and Diskin elementary schools over the past three years while Roybal-Benson has been principal. 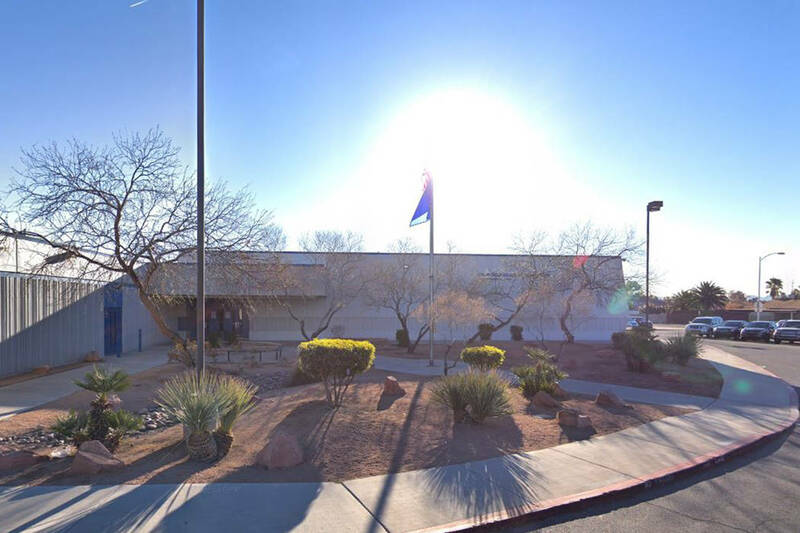 The school replaced 67 percent of its licensed staff in 2015-16, 36 percent in 2016-17 and 62 percent in 2017-18, according to Clark County School District data. The trend has continued during the current school year, with at least seven Decker teachers saying they have departed or been asked to resign. It’s not unusual for parents or teachers to chafe over a principal, particularly at a school like Decker that is struggling to lift its academic performance. But the uprising against Roybal-Benson appears to be both broad and deep. The Review-Journal spoke with more than a dozen teachers and parents about what they see as a dark cloud hanging over the school. Roybal-Benson did not respond to multiple requests for comment from the Las Vegas Review-Journal. Staff and parents say they have taken their concerns about Roybal-Benson to the school district but are worried that nothing will be done and the problems will continue. That concern may not be unfounded. School district data show just six administrators from the 2013-14 school year through June 2018 have not been offered contracts when they came up for renewal. Administrators include principals, assistant principals and deans, among other positions, but the district does not break down the data further. Kelly Mercer, who formerly taught fourth grade at the school, received effective ratings as a teacher in 2015-16 at Crestwood Elementary and his first year at Decker in 2016-17. But last year, he said he was targeted after he pointed out to Roybal-Benson that the time allotted for math instruction every day was less than the required time in the instructional guide for teachers, he said. He then received a write-up for ordering pizza during instructional time, which he said was a reward for his students. “She just targeted me after that, and everybody there knew,” he said. Mercer left to work for Democracy Prep at the Agassi Campus this school year. He described the environment at Decker as terrible and demoralizing when he left. Two other teachers who left this school year — both wished to remain anonymous out of concern for future job opportunities — described an environment rampant with criticism but little support. In the end, the teacher wrote, leaving the district seemed to be the only option. “What is it worth trying to stick out the rest of the year, if in the end I was going to be stuck in this vacuum that is Decker?” the letter states. One expressed concerns over Roybal-Benson’s evaluations, writing in a resignation letter that she claimed the teacher’s students were not learning anything even though they had the most improvement in test scores for both math and reading for third grade for the first half of the school year. The teacher also wrote that Roybal-Benson has attempted to keep her staff through coercion and manipulation rather than the support and guidance teachers need. In November, teachers received a survey via email that they could complete for a chance to win a prize — as long as they stayed at Decker for two more years. Staff were asked to complete the survey for a chance to win a trip to Ron Clark Academy “with the understanding that they will stay at Decker a minimum of two more complete school years” along with other requirements, the email read. The district said that it looks into any concerns raised by staff and parents. Emails obtained by the Review-Journal also show that district staff have visited the school to listen to staff’s complaints. State law has one provision that offers relief in certain circumstances: If at least half of the teachers in one school request to transfer to another for two consecutive years, or if the rating of a school drops for two years straight, the principal of that school reverts to probationary, at-will employment status. But Roybal-Benson, whose leadership style also angered parents at Vegas Verdes Elementary when she served as principal there, according to local news reports in 2012, has so far avoided triggering that action. Absent such a red flag, it is unclear to what extent the district attempts to remove poor performing administrators. Stephen Augspurger, the executive director of the Clark County Association of Administrators and Professional-Technical Employees, which represents principals, explained that the low number of contract non-renewals in the district does not tell the full story. Administrators may retire when they’re under fire in order to avoid a demotion, non-renewal of a contract or dismissal, he told legislators at a hearing on a related bill in February. Although only a handful of administrators were not offered a new contract, 345 administrators entered regular retirement over the past six years. In the meantime, families with students at Decker Elementary are hoping for a solution. Tacy Stanfill, whose two granddaughters attend the school, said she got a warning from a neighbor of things to come when they first enrolled. “She warned us before we got the girls in that the principal fires every good teacher and warned us, ‘Don’t go to this school. Find any other school,’ ” she said.